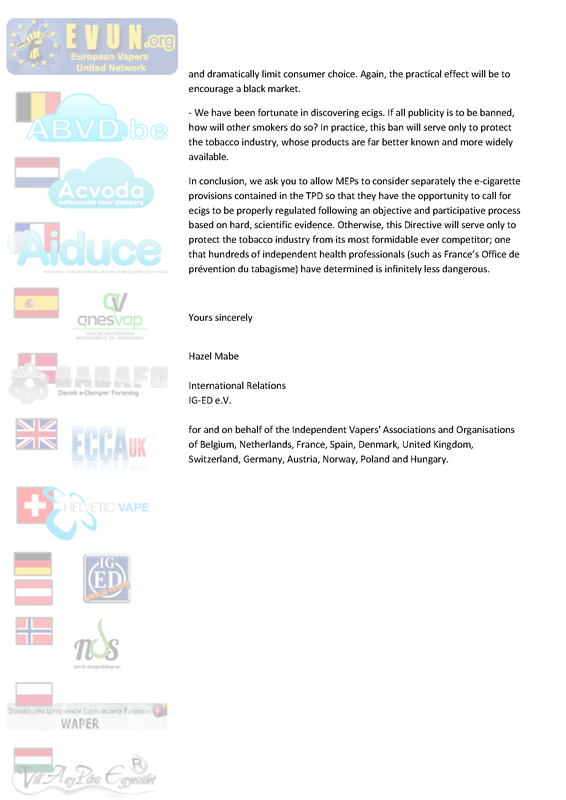 Today, European Vapers Organisations made yet another effort to get attention with the EU. This time we sent a mail to the President of the European Parliament, Martin Schulz. We will keep our readers informed as soon as we receive his answer. 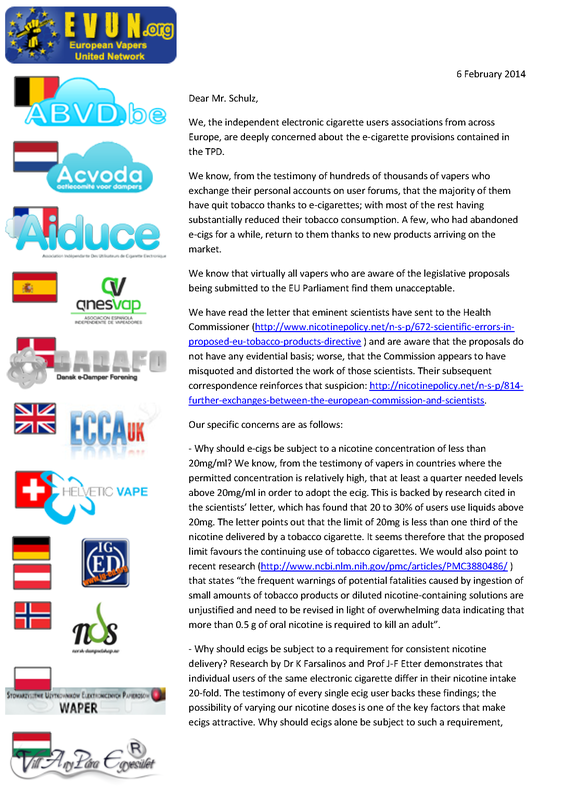 The letter from EVUN deals with e cigarettes. I wish to comment on the perceived motivation for article 18. It is becoming more and more obvious that vested interests are playing their hand in the development of this legislation. The public are not blind, or stupid. 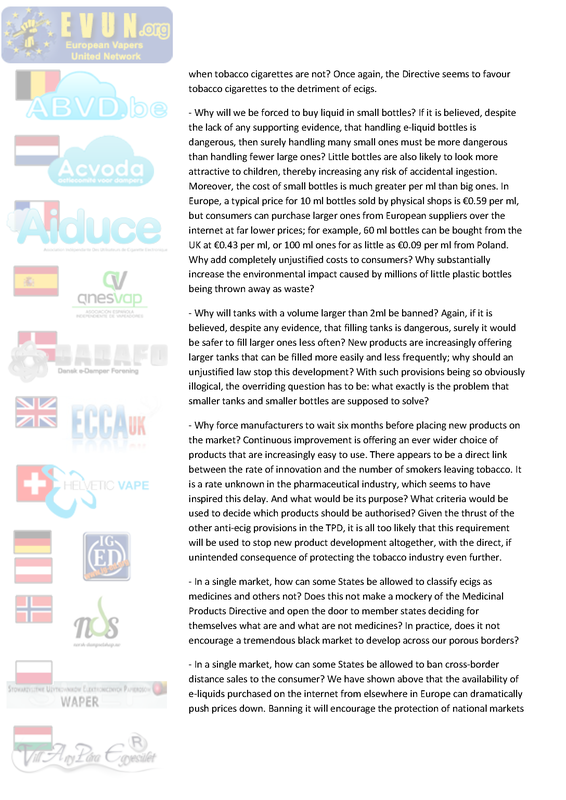 This blatant attempt to favour two of the biggest industries anywhere, industries with powerful lobbying capacities, will lead to further weakening of the EU’s reputation – already a referendum is in the offing in the UK and it looks like a withdrawal is on the cards. It is behaviour (and responses to the scientists) like yours which is the driving force for the growing scepticism throughout Europe. It is time you remembered that you are a public servant and time you moved away from serving the interests of big and powerful companies.